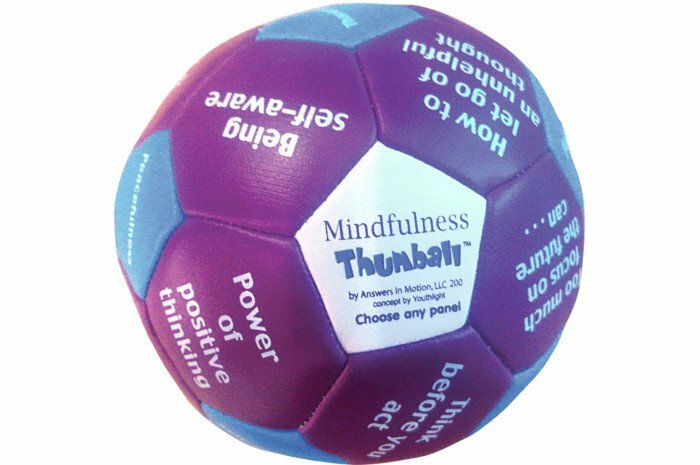 Topics include self-calming, insightfulness, irrational thoughts, self-awareness, believe & achieve and "The Present Is a Gift"
I ordered several Thumball's. They are excellent therapeutic tools to use with any age student from elementary to high school. I use them as icebreaker's with new student's and at the end of every session as a way to put closure. I highly recommend Thumball's. 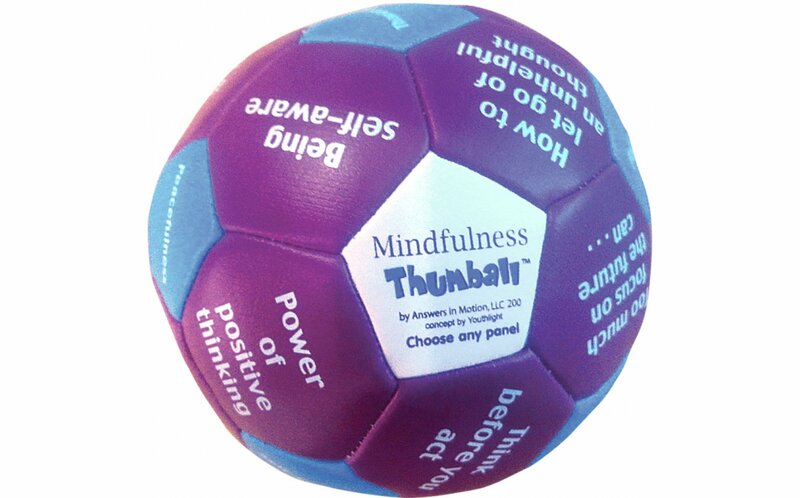 I ordered the Mindfulness thumball and it is a great tool to use in sessions with adolescents and children after I have taught them Mindfulness. Great addition to your toolbox.